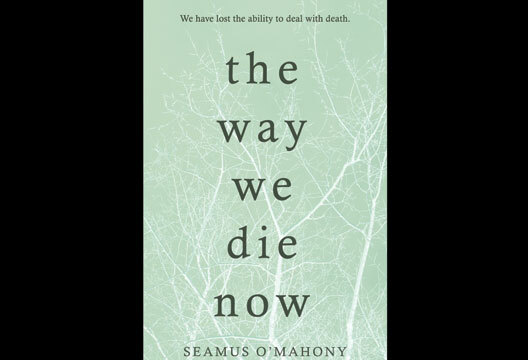 This engaging book takes us on a personal journey with a doctor, reflecting on the meaning of death, both within his personal life, but also as a construct within an overburdened hospital system, one often said to leave clinicians pressured to offer ongoing treatment to frail patients, for fear of retribution from devastated and saddened families. Unnecessary medical interventions are said to be an avoidance of ‘the difficult conversation’ altogether, adding to the clinicians’ dilemma of offering treatment despite death being imminent, contributing to a medicalised death far removed from any dignity or grace. These very same clinicians are frustratingly expected to be both spiritualist and miracle worker, offering ways to outsmart death a bit longer, and yet this miracle eludes us still. The author explores how we have evolved our understanding of death, how historically it was ‘tamed’ through ritual, but conversely society seemed now to have lost the ability to look death in the eye. We are said to avoid the animalistic understanding of death as absolute, and depend on the healthcare system to teach us how to die. The book explores our apparent insistence in describing dying as ‘fighting a battle’ or ‘not giving in’, and yet there could be more dignity and respect for the dying in knowing when to lay down the sword. The role of language is explored further in bias identified in advanced directives where the language used could manipulate the choices made, or cause poor understanding of what these choices truly meant. Although the laid-back writing style could lure you into thinking this could be an easy read, it presents us with challenging but necessary questions. It’s crucial we debate death and its impact on us as caregivers and clinicians, and as fragile creatures who inevitably will be visited by death.